A new bar and restaurant could be on the way for Ballston Quarter, as businesses in the development slowly start to open to customers. 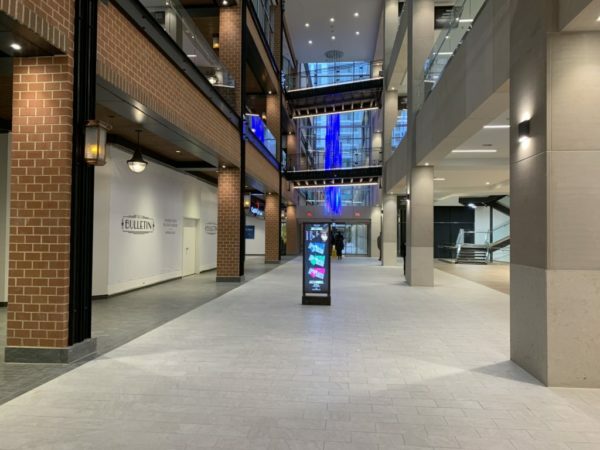 An establishment dubbing itself the “Ballston Service Station” is planning to move into the newly converted Ballston Common mall, according to a permit application. The restaurant is seeking to serve both wine and beer “on and off premises,” records show, but there aren’t many other details available about the company. However, it does seem to have ties to Andrew Dana, the co-owner of D.C.’s Timber Pizza Company and Call Your Mother Deli — Dana’s phone number is listed as the contact on the Ballston Service Station permit application. Dana is already planning on bringing a Timber Pizza location to Ballston Quarter, which will be located in the development’s “Quarter Market,” an upscale food court. It’s unclear if the two restaurants will be connected, however — neither Dana nor a spokeswoman for Forest City, the company backing Ballston Quarter, responded to requests for comment. Some stores and restaurants in Ballston Quarter have started welcoming their first customers in recent weeks, though the exact timeframe for the rest of the development to open for business remains murky. The Quarter Market is currently slated to open in February, and Forest City hopes to have everything open by this coming spring.